For your chance to win, simply answer this question (entry details at the bottom of page): Which star of the Lord Of The Rings films stars in CAPTAIN FANTASTIC? Starring Viggo Mortensen, CAPTAIN FANTASTIC is the uplifting and heart-warming story of family, love, and growing up. 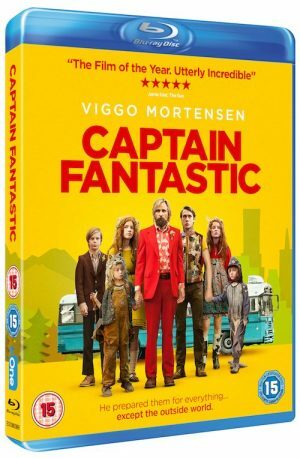 Ben (Viggo Mortensen), a devoted father of six, dedicated himself to raising his children in an unconventional lifestyle that is far removed from society. When they are forced to leave their self-created paradise and drive across the country to reunite with family, both Ben and his children find themselves mystified and intrigued by the outside world. As Ben is forced to question what it means to be a parent, his children begin to discover a new and extraordinary world that they never knew existed. 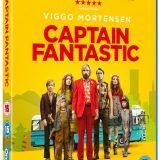 CAPTAIN FANTASTIC is available on Blu-ray & DVD, and Digital Download NOW.